It's a Scrappy World: 3-10 New Challenge at Catch the Bug! 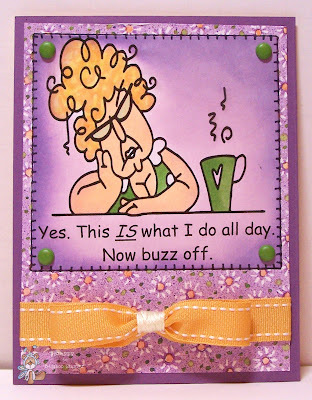 Great card, just right I wish I could sit and do nothing all day!!! Thank you for joining us at Willow Sketchie Challenge this week. Great fun card, just love the image and words. Very cute! Saw it at MIM Love this line of stamps. 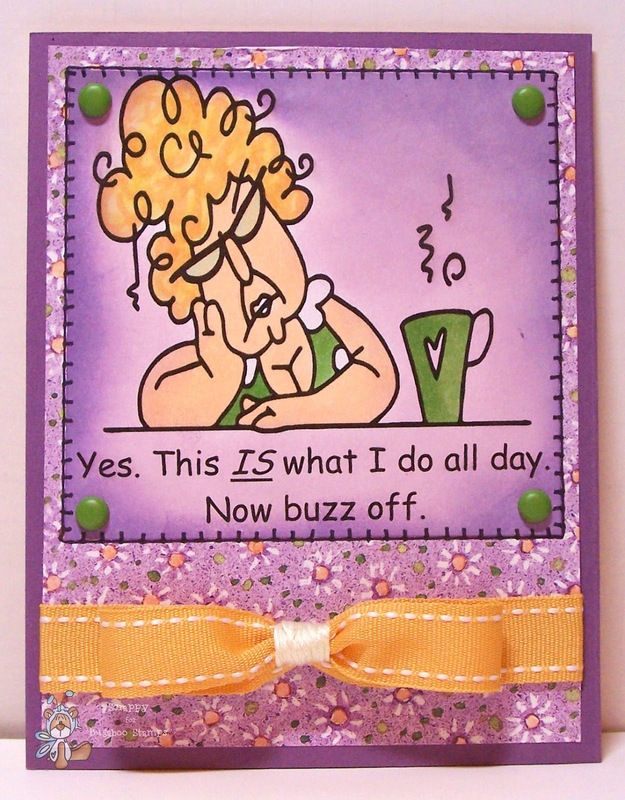 Great card, fab layout & sentiment! such a great card honey! I loe that colour combo and the layout is brilliant! Thx for linking up to Make It Monday! Ha ha! Love this. Great image and terrific colouring. I just love these fab images from Bugaboo and your card shows this one off beautifully.